Example performance is taken as a 2 metre deep tank & diffuser back-pressure of 40mbar, so totalling 240mbar. For greater depths, please contact us. Where only single phase is available on site, please also order our 1.5kw inverter. Example performance is taken as 2.1 metre depth & diffuser back-pressure of 40mbar. So total estimated pressure of 250mbar. Example performance is taken as 2.6 metre depth & diffuser back-pressure of 40mbar. So total estimated pressure of 300mbar. Where only single phase is available on site, please also order our 3kw inverter. Where only single phase is available on site, the temptation is to choose a single phase motor, or worse; a three phase motor with a capacitor across the supply. 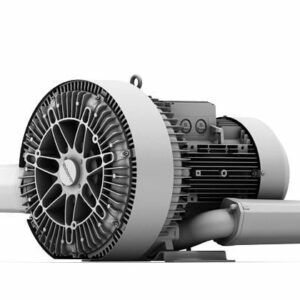 Both these options result in motors overheating, underperforming & failing. The correct solution is to fit an inverter in conjunction with a suitably powerful 3ph motor, so spreading the current draw three ways. This ensures the motor does not overheat, works at its most efficient & maximises lifetime of both motor & blower. 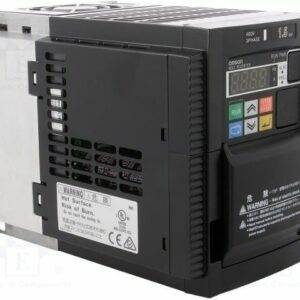 Omron invertors offer the highest quality, and are Elektror’s preferred supplier for use with their blowers. These inverters can only be purchased in conjunction with a blower and will be shipped from Elektror Germany. Where only single phase is available on site, the temptation is to select a single phase motor, or worse; a three phase motor with a capacitor across the supply.